Fall in love with the unobstructed intracoastal, ocean and Lake Boca Raton views from this luxuriously appointed 5200 sq ft residence located in the desirable, full service Mizner Grand condo on the grounds of the Boca Raton Resort & Club. Very few times has the ''4'' center stack with it's Southeast exposure and panoramic views been available to purchase. Residence highlights include 4 bedrooms + media room, 5.5 baths, 3 garage spaces, 10' ceilings, private elevator foyer, and oversized master suite with his/her separate baths. Lot Size: 7.75 Acres / 337699 Sq. Ft. Directions:Located on the grounds of the Boca Raton Resort, take the gate located off of Palmetto Park Rd and 5th Ave. Guard will direct you to Mizner Grand security gate. SchoolsClick map icons below to view information for schools near 550 SE 5Th Avenue #604s Boca Raton, FL 33432. 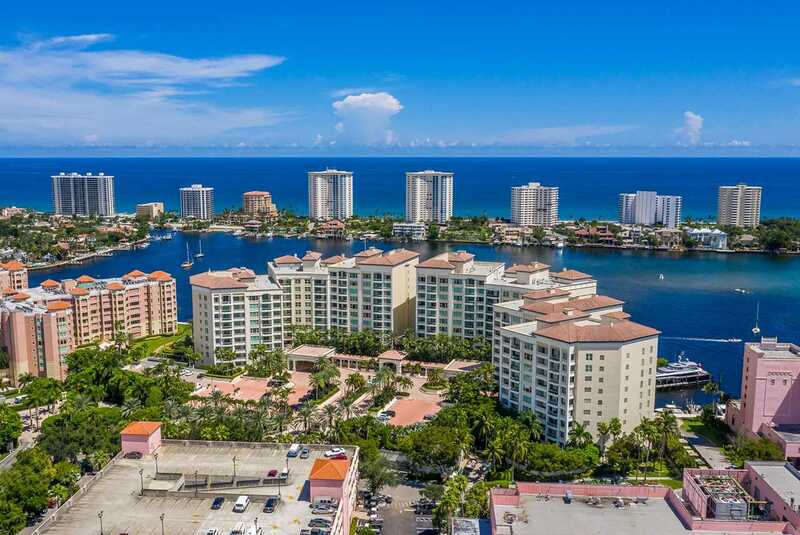 MLS # RX-10468395: This property at 550 Se 5th Avenue #604s, Boca Raton, FL 33432 is located in the Mizner Grand Condo subdivision and is listed for $4,495,000. MLS # RX-10468395 has been on the market for 199 days.